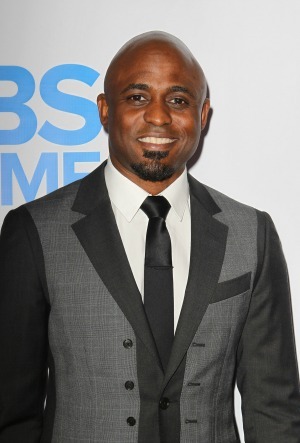 A budding romance for Wayne Brady and TLC’s Chilli? Wayne Brady and Chilli were supposedly spotted holding hands over the weekend in Las Vegas, but it looks like Chilli may have her sights set on another actor. Love in Hollywood is a tricky business. Witnesses reportedly spotted actor Wayne Brady and Rozanda Thomas — better known as Chilli from TLC — holding hands over the weekend, starting romance rumors. A source told People that the reported relationship is on-again, off-again. “They’ve been down this road before, but now the timing is right,” the source said. But there may be no relationship to talk about. A rep for Chilli said simply, “This isn’t true,” and that Brady was in Las Vegas for an entirely different reason. TLC was in Vegas over the weekend performing at a private event, and Brady was performing improv. Whether or not there’s a budding romance, the two are not denying a friendship. But if there’s anything more there, neither of them are talking. “They’ve been friends for a long time, but the romance is a new thing,” a source told People. Brady has been married twice. He has one child with ex-wife Mandie Taketa, who filed for divorce in 2007. And there may be another factor to the story — Chilli apparently has her eyes on another star. The singer said she’s a member of the “Pine Nuts,” Star Trek actor Chris Pine‘s fan club. “As a matter of fact, Chilli happens to be a ‘Pine Nut’ so if you all want to play matchmaker Chris Pine is definitely what Chilli wants,” Rozanda’s rep teased. You can see Brady next when he hosts the BET Honors on Feb. 8. He’s currently starring in the last season of How I Met Your Mother.